We finally managed to get our hands on the new iPhone 6. This is the latest offering from Apple which was released last month complete with the new iOS 8. The new device is slimmer than its predecessor, with a larger screen, faster processor and improved camera. Without venturing too much into the specifics of the device which have been trumpeted on countless platforms, here is a video as we share are our thoughts the iPhone 6. 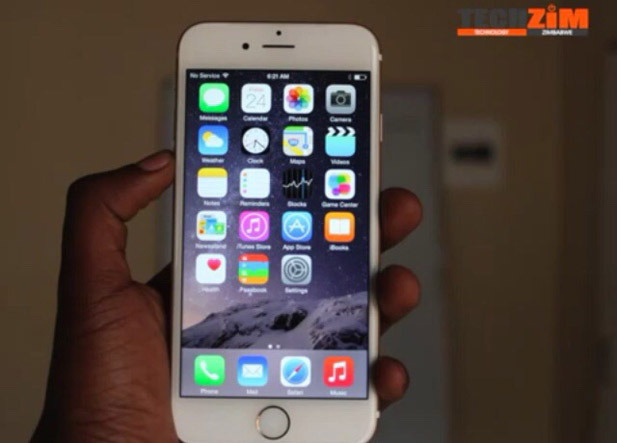 What do you like about the new iPhone 6? Are you willing to part with $1200 to get this device from local retailers like 10ngah.com or you’d rather invest $1700 in the iPhone 6 Plus? Please share in the comments below. I couldn’t help but notice your mac pro there. Did you try out the hand off thingy they are pushing with Yosemite? It would have been helpful to hear if that feature and others, like the locked down nfc, are of any value in our context. As far as i can see, the true value of these new phones lies in the more integrated ecosystem Apple is building. Take those unusable features away, some of which can be had on the 5s with an os update, and the only reasons i’d be left with to get a 6 over the 5s (as if i can afford it!) apart from prestige is the ssslightly better camera and video, optical image stabilisation with the 6+, a bigger screen and a thinner body. Not much considering the premium they are are demanding. Only Apple beguiled iFans will be willing to part with $1200 to get this most ridiculously expensive gadget. I would rather save the money and marry Elizabeth instead…lol For the iPhone 6 Plus, Apple’s first phablet just use the Galaxy Note 4. It is a very good phone, but I personally don’t think it’s worth the price. The technical performance is similar to Android units from last year. That said – It makes very, very good use of the parts and the camera is excellent, so if you like the Apple experience – Go for it. I am an Apple fan. I am locked into their ecosystem and I love it. To the i-haters, remember to thank Apple for setting the pace, defining the gold standard.. Just remember before the iPhone.. you needed a belt pouch for a smart phone.. then Apple too the buttons away! The first touchscreen phone was the IBM Simon, launched in 1992. During this decade the popular iPaq (not made by Apple by the way) was launched with touchscreens and optional phone attachments. HTC, the leader in touchscreen phones up until the iPhone and makers of phones like the Nexus One launched their first touchscreen phone, the HTC Wallaby aka XDA in 2002. Apple did actually make a concept for a touchscreen phone (not a mobile, a regular landline phone) way back in 1984! Apple changed the world with the iPhone because of the quality of the interface. They made it EASY to surf (even though Safari crashed CONSTANTLY and you were stuck on EDGE when the rest of the world was adopting 3G), email (even though it lacked copy/paste), text (even though it lacked MMS), snap photos (even though they were lo-res and it had no video capability), listen to music (even though it had no A2DP), watch YouTube videos (even though it lacked Flash), find your way around town (even though it had no GPS) and to talk (even though it had pretty bad reception). It was a combination of the advanced touchscreen, the accelerometer, the multi-touch interface, a decent autocorrect feature, a powerful OS, and the integration of the few native apps it did have. I am an Apple fan.It is a very good phone.I can acquire knowledge in this artilce. Thank you. Though I am an avid i-sheep, I can’t imagine forking out $1,200… I have no interest what so ever in the 6+ coz i have an ipad to cater for that.